The numerous US military actions of the 20th century have spanned the globe and led to innumerable consequences, but one truth is undeniable: without our military heroes, all would be lost. Yet even after these soldiers finally return home, many face incredible - and insurmountable - challenges. 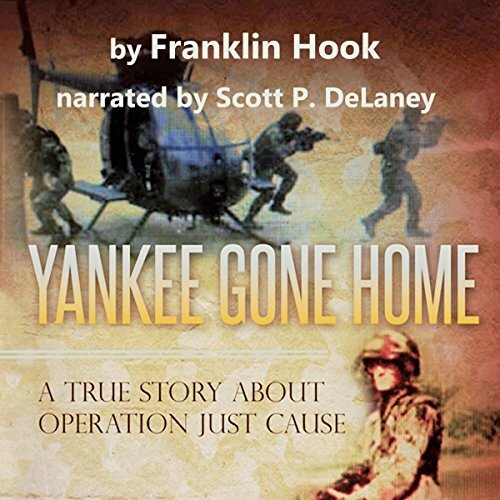 From noted historical nonfiction writer Franklin Hook comes this compelling true tale of one particular invasion and one particular man. This study is based on interviews, firsthand documentation, court-martial testimonies, and newspaper articles - but the story it tells goes beyond dry facts to reveal a profound human tragedy. Bruce Beard was one of many soldiers involved in the controversial US invasion of Panama in 1989 and its terrible aftermath. Despite a record of good conduct, his service was marred by drug abuse. Without the resources to deal with his problem, Beard fell apart until he ended up with a bad conduct discharge. Since returning home, Beard has been denied care for his PTSD because of that label. And there are more like him, struggling veterans who can’t get the help they need. These soldiers have taken the fall in a less-than-perfect system of military justice. This is their story.